Can I schedule a grooming appointment during a boarding reservation? Absolutely! Boarding & Day Resort guests will have access to the full service grooming salon during their stay! Is there a discount if I board 2 dogs in one suite? Yes! 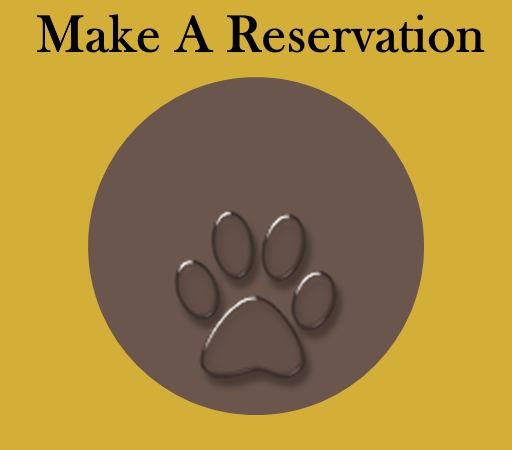 We offer a 30% discount for the 2nd and 3rd dog in a family group. What are the vaccination requirements for Lodging , Day Resort, & Grooming? Vaccinations must be given AT LEAST 14 days prior to the reservation. All guests must be free of fleas and ticks. If fleas or ticks are observed during the initial Wellness Check, the pet will be treated at the owners expense. We prefer our guests to complete a Day Resort reservation prior to Boarding. What if my pet needs medical attention while at the resort? 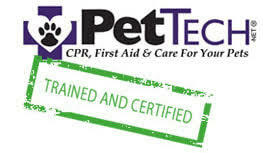 If a pet needs medical attention for any reason, the guest will be transported to a preferred veterinary hospital. Prior to boarding, the pet owner must sign a Medical Release for Emergency Veterinary Care. The agreement gives Paws in Paradise Luxury Resort & Spa the authority to seek veterinary care for a pet in our care. Can I visit my pet while boarding? Absolutely! Owners are welcome to visit in person or call to check on their pet. We also offer complimentary 24/7 live webcam viewing capabilities, and a video call add-on service. Current Vaccination Records: Owners must provide proof of up-to-date vaccinations. Documents can be uploaded directly into the Owner Profile or copies can be provided at check in. Food: Paws in Paradise strongly encourages pet owners to provide the pet’s regular food for the reservation. A sudden change in diet can cause discomfort and extra stress on the animal. Food should be separated into meal-sized portions and labeled with the pet’s name. We suggest sending extra portions of food, in the event of an unexpected change of plans. If the pet owner does not bring food, it will be provided at no additional cost. Treats: Owners are welcome to send in treats. Please be sure to include the pet’s name on the bag. Medication: Topical and oral medications are administered at no additional charge. Injections are $2.00 per administration. Please label the medication with the pet’s name and include instructions. Security Items: Small security items, such as toys or blankets, may help your pet feel more comfortable during their stay. Please understand that personal items may not go home in the condition they arrived, if at all. Blankets must be small enough to fit in a standard washing machine. Please be sure blankets are laundered prior to bringing them to the resort. You can pay with credit card in advance through our online client portal or onsite when you pick up your family member. We also accept cash payments onsite. No checks, please. I’m having trouble seeing my pet on the webcam, what should I do?